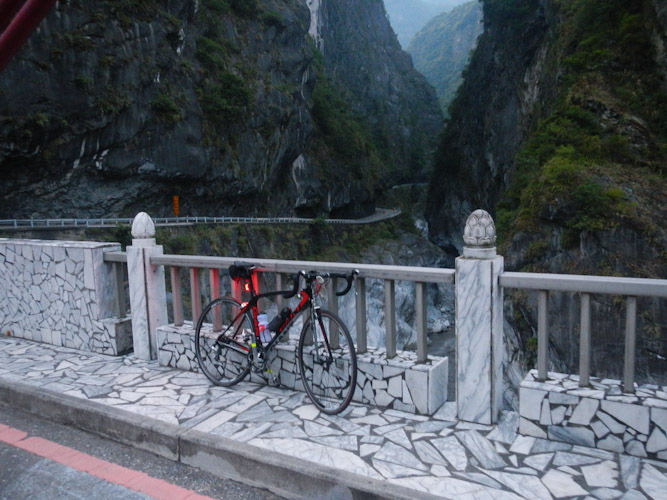 Cycling Around Taiwan Part 2 - Conquering Taroko! 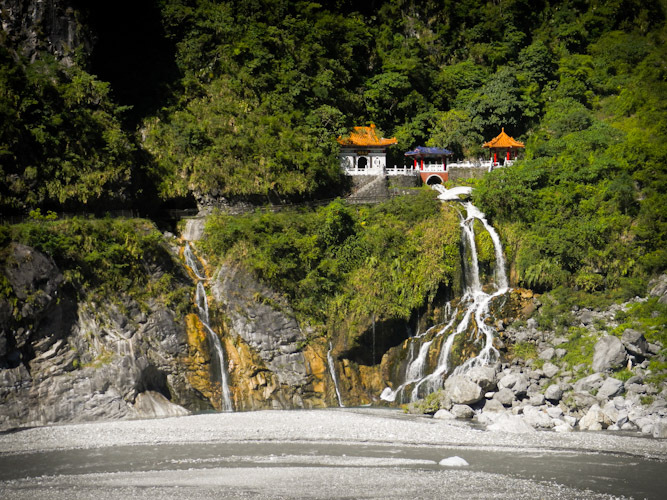 One of the main sites that Nicole and I wanted to see during our bicycle tour around Taiwan was Taroko Gorge National Park, an area that is famous for it's breathtaking mountain views. Since it was so far away by train from Hsinchu, we had not had the opportunity to visit it yet. With that in mind, we rented a pair of Yamaha 125cc scooters and checked in to a cheap hotel room near Hualien train station. 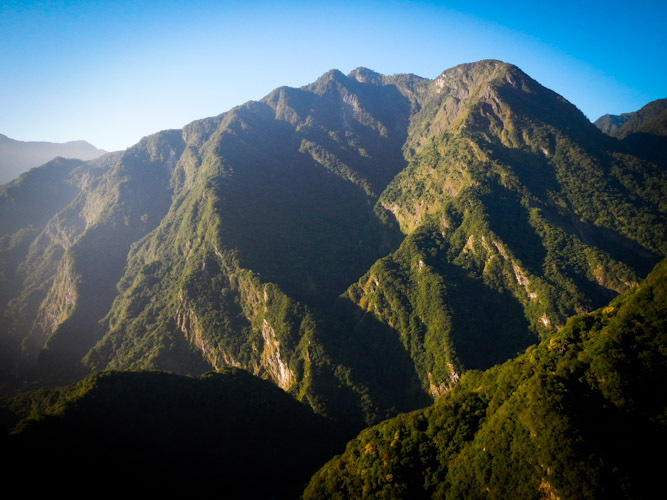 The beauty of Taroko Gorge is legendary in Taiwan, but for cyclists, it simply marks the start of the ultimate cycling challenge - the 90km climb along the central cross highway from Taroko to the top of Hehuanshan at 3250m. During the regular weekly night rides in Hsinchu, I often asked the local Taiwanese guys for advice about where to go biking in Taiwan. Inevitably someone would recommend that I try to ride to Wuling, and an eruption of snickers and giggles would follow from the other cyclists around. 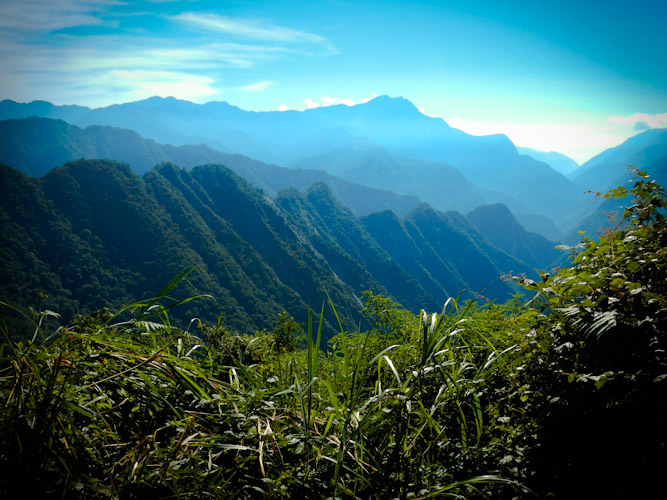 Attempting to conquer the long climb to Wuling is not something to be undertaken lightheartedly, and it's a badge of honour among cyclists. I was also warned that the mountain roads are very dangerous during rainy weather, especially on a road bike. Nicole and I left Hualien early in the morning on our scooters, ripping along the wide open road with no traffic in sight, we were in Taroko in 90 minutes. I had a second purpose: scouting the route ahead for attempting to ride my bike to the top. 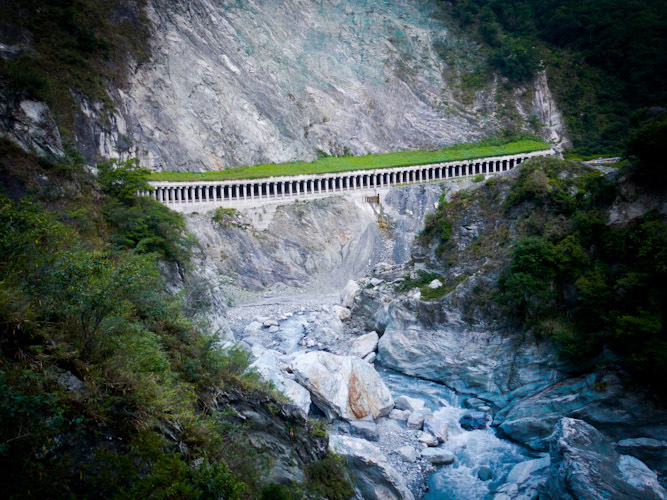 We set out reasonably early in the morning and made quick time out of Hualien northward to the beginning of Taroko Gorge. After driving through a couple of long tunnels we came to a point in the road where several cars were stopped, and there was a road block. Of course the sign was all in Chinese, so we did what every foreigner does in these situations: we looked for the kids who looked like they went to buxiban classes and were now in school. Luckily there were just happened to been 5 taiwanese high schoolers on 3 scooters (some were doubling) who were right there next to us. They explained to us that they were doing work on the road ahead, and the road was only open at certain times of the day. The next time was about 1hr away. We followed them back to the visitor's center and chatted for a while before going the road block was lifted. We got through and drove the long and winding road through the gorge and up to Hehuanshan. By the time we reached the top of the mountain, the air was so thin that the motorbike was not working as well. In particular, the final 10 km is nearly all 10% grade ramps with switchbacks, and the scooters simply didn't have the power. We also noticed the thin air immediately when walking around at the top. We went to walk up a trail along the ridgeline to the side of the main road, but noticed we were short of breath more quickly. I carefully noted all the places where I might get water and food if I was to bike up the mountain, and there were not many. Basically the last 7-11 is in Taroko at the very bottom, and you can get a bowl of instant noodles at the shack at the top. There are a few other places where you could get water, but not much else that would be reliable. For a sense of scale, the highest mountain road we have in Canada is at only 2213m, in the Rocky Mountains at Highwood Pass in Alberta. 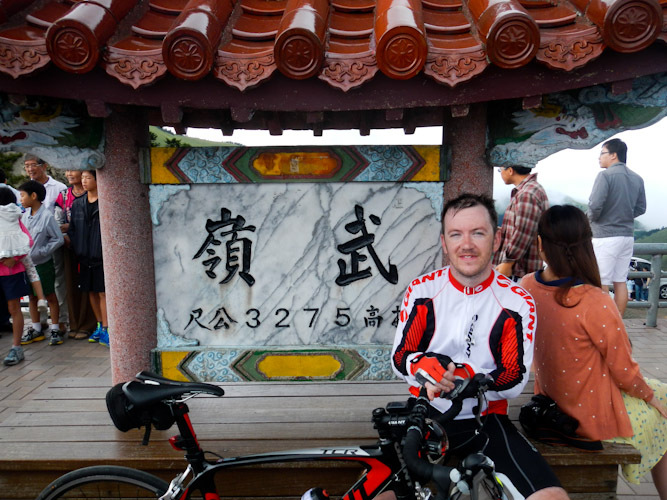 The 90km climb to Wuling not only goes over 1000m higher, but it also starts at sea level. I tracked the route I rode with my iphone's GPS, but the mountains make a lot of interference.